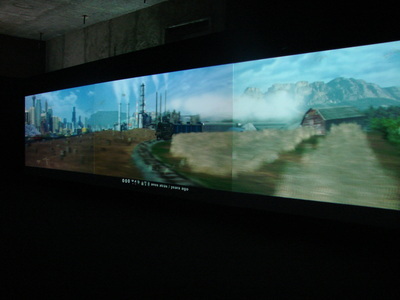 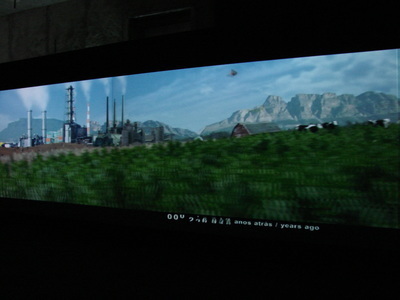 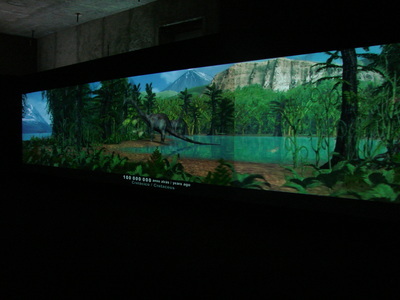 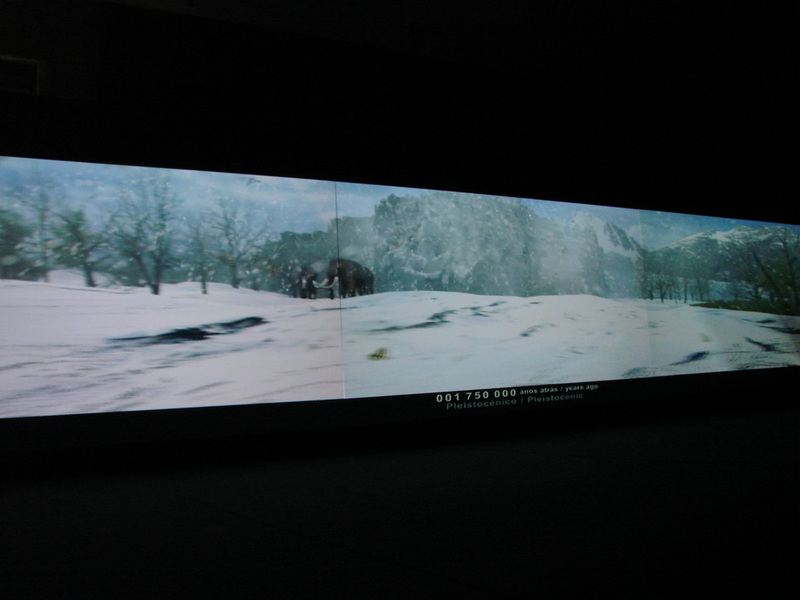 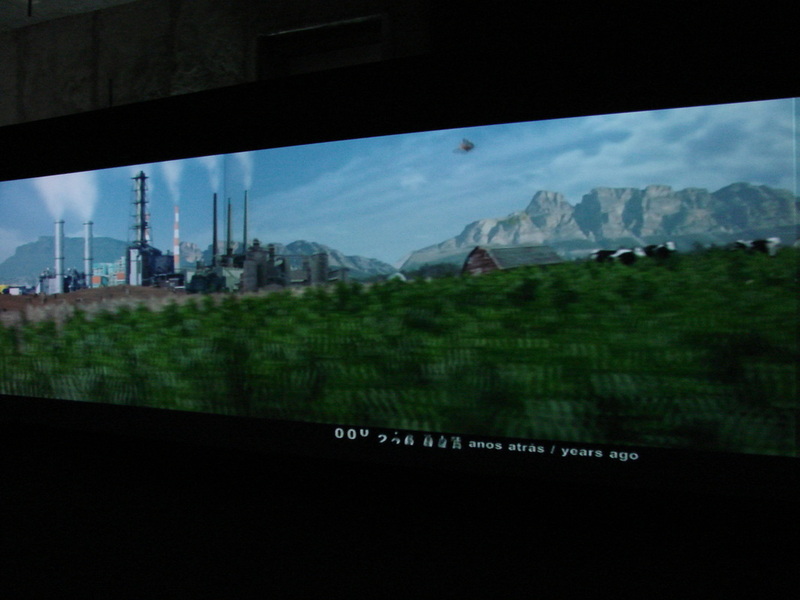 The visitor will enter a dark corridor into a room, where a four minutes film shows the four stages of evolution of butterflies, since Jurassic times (200 million years ago). 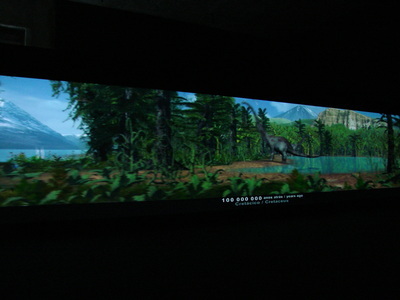 The sounds recreate different environments relating to these periods, such as dinosaurs’ grunts, birds singing during Tertiary when diversity was high and we see thousands of butterflies on the screen, the Ice Age, then a train appears, as well as other signs of human presence. 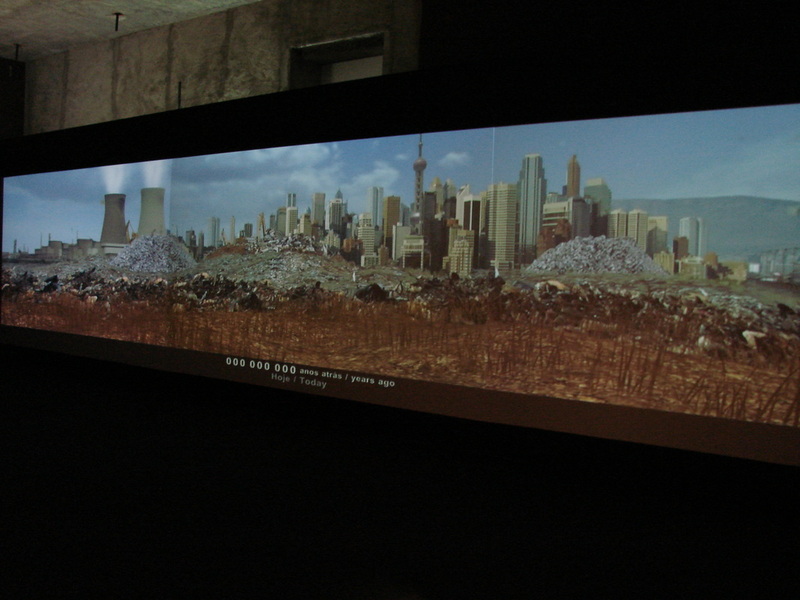 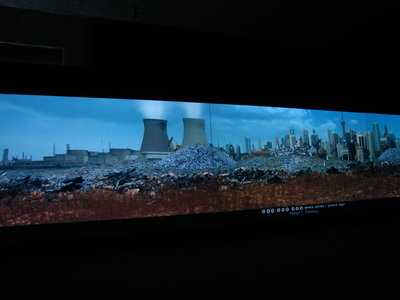 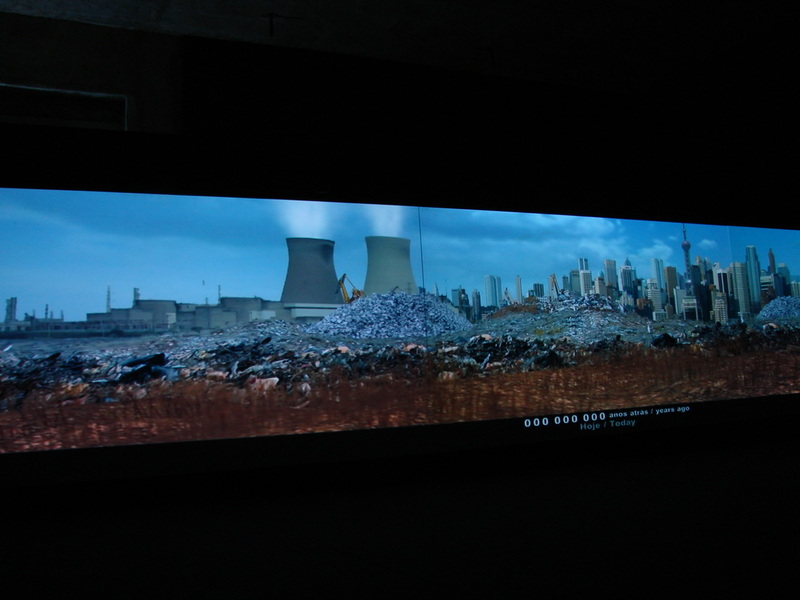 The film ends with a picture of an urban and polluted landscape with high-rise buildings, rubbish damp, cars, motorways and only a few white butterflies flying around. 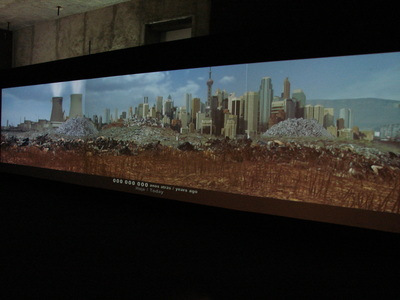 "Evolução das Borboletas através do Tempo" from Terra Líquida Filmes on Vimeo.